Jack Delano's great picture illustrates how the women of the US stepped forward during World War II to help keep the economy moving. March is Women's History Month and I wanted to take the last day of the month to honor those who served in World War II. Male and Female, on the front lines and at home in the Roundhouse. All their sacrafices made victory possible for the US in World War II. 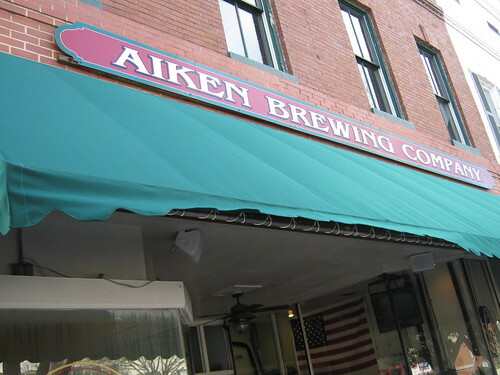 Aiken Brewing Company, originally uploaded by Historic Railways Examiner. Cindy and I took a road trip this weekend over to Georgia to re-visit Watson Mill Bridge State Park between Augusta and Athens. 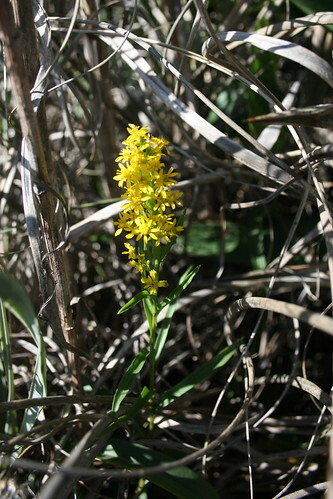 This was shot with the powerplant canal in the front and the rapids in the background. Except for the cars in the parking lot, it could of been shot anytime in the last hundred yeras or so. Cindy and I took a road trip yesterday.. in Plum Branch, SC we saw this hodge-podge of discarded stuff on the front porch of a closed store. The Office War Information during World War II produced a great portfolio of work which is now in the common domain. Flickr has made it easy to find photos from these collections. I'm reading a book about the Orange Blossom Special on the old Seaboard Coast Line. 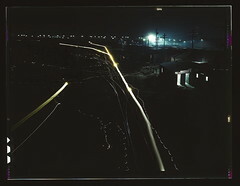 The back cover of the book is the hamlet depot with the Special at the station. The lighting is similar to this photo I took at dusk in Hamlet, North Carolina. 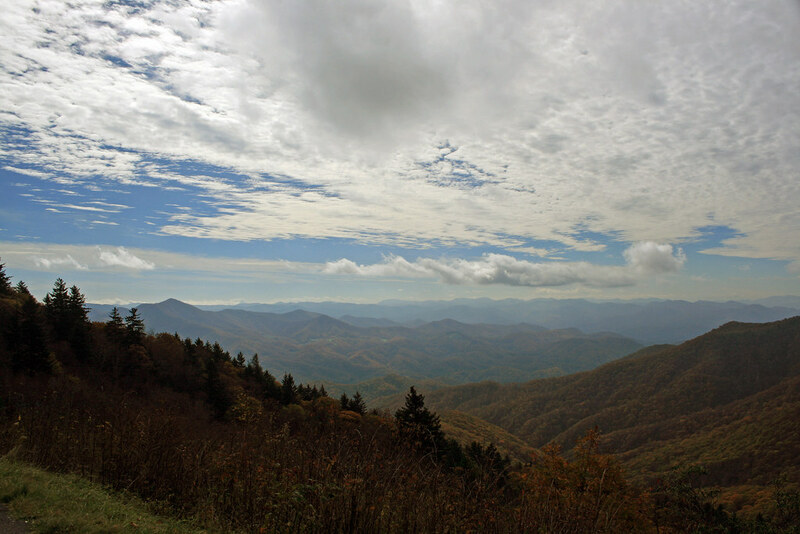 Here are the links to some more of my Blue Ridge Photos from October 2009. Hope you will read my article about the 75th Anniversary of the BRP. You see it everyday.. but have you ever photographed it? This weekend I got out on Saturday and took a few photos of places I have visited many times but never got around to photographing. Here is the Blackville, SC Depot which has been moved and restored as the library. When I was working everyday in Blackville, I used to spend lunches there checking out books or looking at the reference materials. Even with the ADA ramps, the library is in good shape and is a highlight of Blackville. Miller's Breadbasket was packed on Saturday with a motorcycle club and a classic car club both downtown. 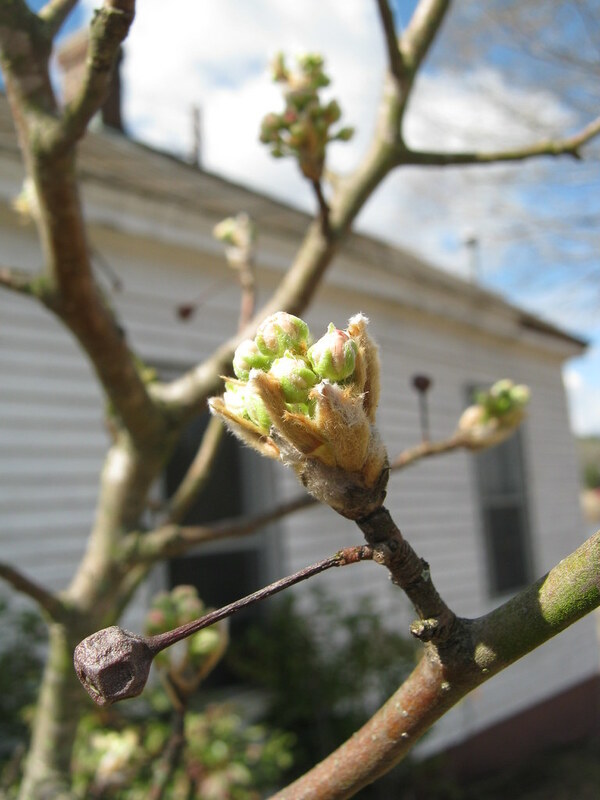 Some early flowers in Aiken, South Carolina. At the Ward, SC cemetary, I found this wrought iron gate. The plate on it drew my attention as it was made in Augusta, Georgia. The fence is over 100 years old and still in reasonably good shape. My newest way to share with others is through my articles at Examiner.com. 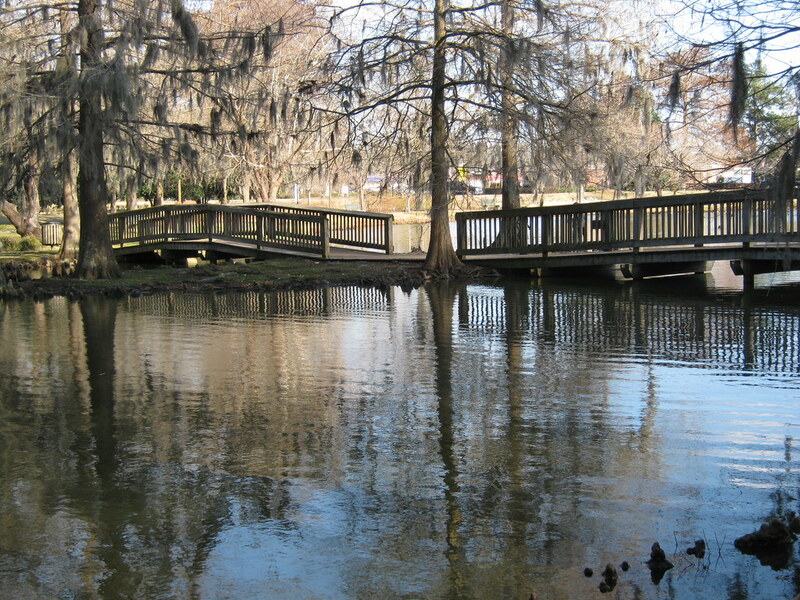 For the last few weeks, I've been writing a column about Road Trips in the Southeastern US. 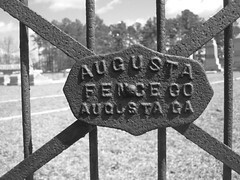 If you haven't read it yet, I hope you will check it out at: http://www.examiner.com/x-39809-Augusta-Road-Trip-Travel-Examiner. It is a lot of fun to share some of my favorite places with others and also learn about new places from the comments and emails I get. Now, my newest adventure with Examiner.com is to write a column on Railroad / Railway History called the Historic Railways Examiner, which can be found at http://www.examiner.com/x-41880-Historic-Railways-Examiner. This really helps me come full circle since I got involved in photography as a way to document and share my love of trains and railroads. I do this through the pictures I share here, my Historic Railways blog at http://railfan.biz/ and my RailHistory account on Twitter at http://twitter.com/railhistory. My loving wife Cindy, who co-writes the Moonlitbridges Blog with me, will be the first to tell you that all of this consumes time. Like any other hobby, it also consumes resources. However, I really feel the chance to share my work and adventures is worth the investment, I hope you do too. I'm learning quickly that it is a good idea to take photos even under less than ideal conditions of old buildings and landscapes. Very quickly.. they can be removed and scrapped and we lose a picture of what existed in the past. 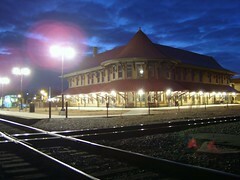 This is a picture of the electrical building at the Hamlet Depot in Hamlet, North Carolina. 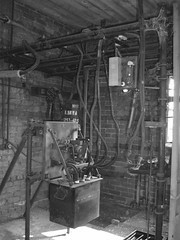 It provides an interesting case study of what equipment would of been used in such situations back in the 1960's and 1970's. What structures do you pass everyday which you should take a photo of before they are gone? 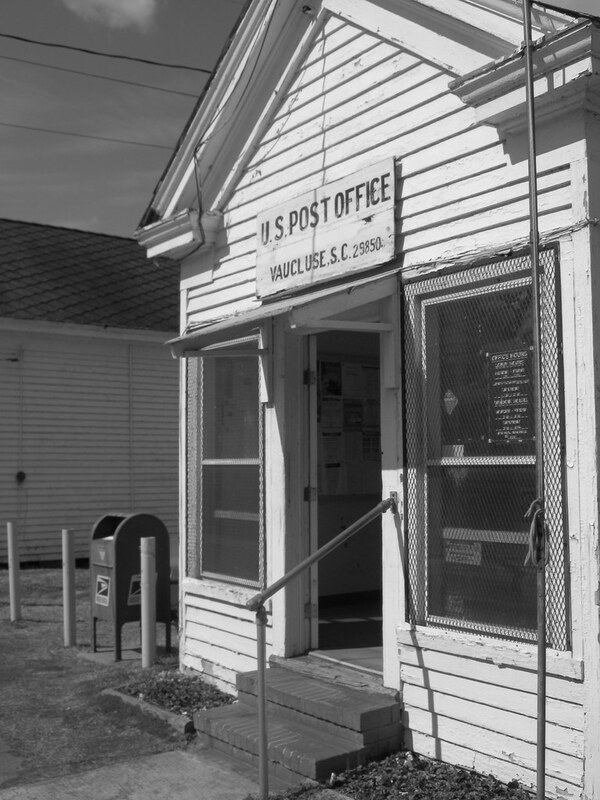 Remembering the small town post office, this one still in service in 2010. 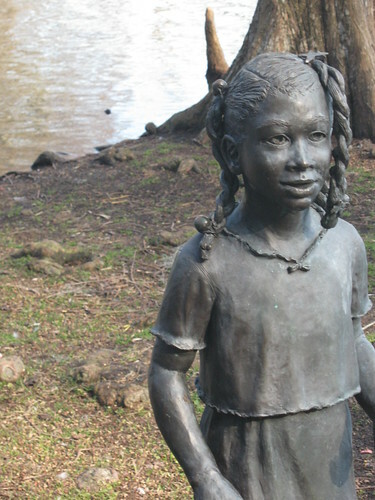 This is the monument for Clinton Ward's young daughter in the Ward-Satcher section of the graveyard next to Spann Church in Ward, South Carolina. 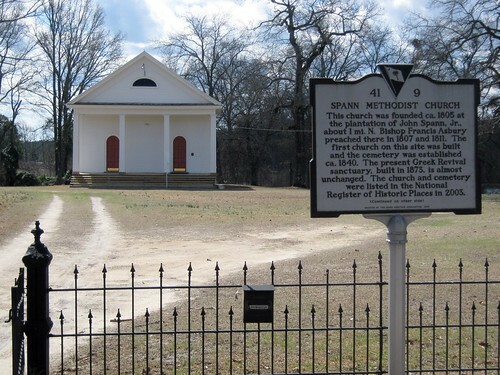 Built in 1875, Spann Methodist Church is Ward, South Carolina still serves today. 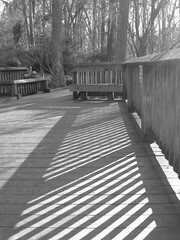 I liked the contrast between the diagonal shadows and the boards in this photo. It didn't look good at normal height so I lowered the camera and was much happier with the result. This was another case too where I preferred the Black & White shot to the color shot. Since I was focusing on angles and contrasts it seemed to work better. I spend my workdays looking for ways to lower the cost of my company's products. This includes a lot of "comparison shopping" to find the best product value for our money. My motto is "Pretend it is YOUR money". I keep telling my co-workers that the same idea applies outside of the office. There are many things that you can save money on, just be comparison shopping. One of these things is insurance. With insurance, you have to weigh low costs versus the benefits from the provider. There are many website where you can go to compare many providers at the same time. A great website is NetQuote.com which shows you how much you will pay. Take a second and see how much you can save on Pennsylvania insurance by visiting their website. 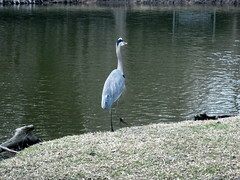 The heron was not impressed by my attempts to photograph it, and finally decided the best course of attaction was just to ignore me. 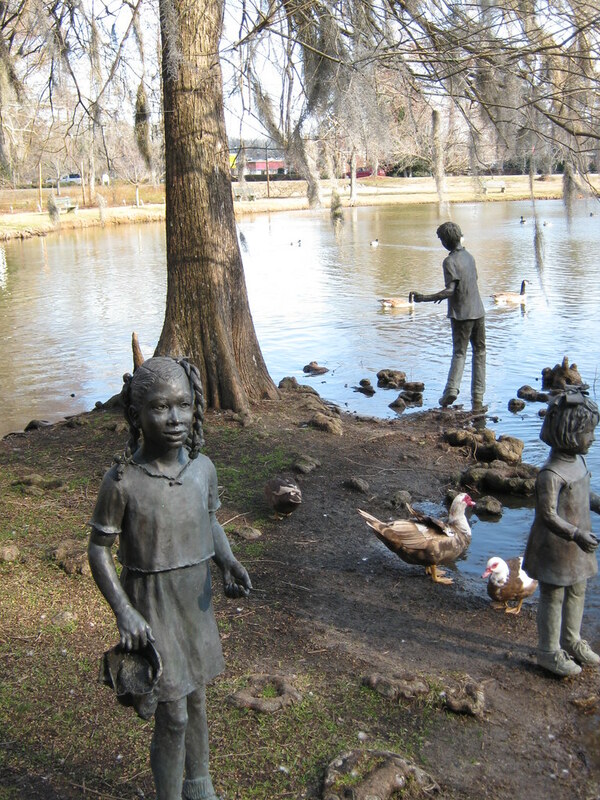 Statues and ducks at Edisto Gardens in Orangeburg. 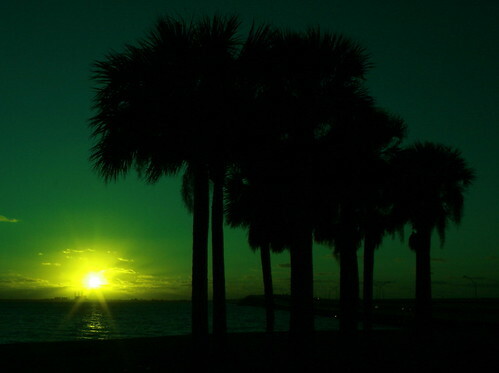 Advance in the direction of your dreams..
they will meet with a success unexpected in common hours. 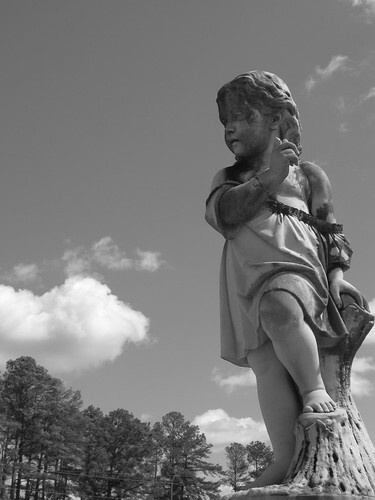 One of the statues which are located around Edisto Gardens in Orangeburg, South Carolina. Missed a post, catch up now! 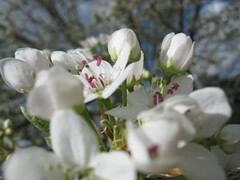 is an avid writer and photographer. 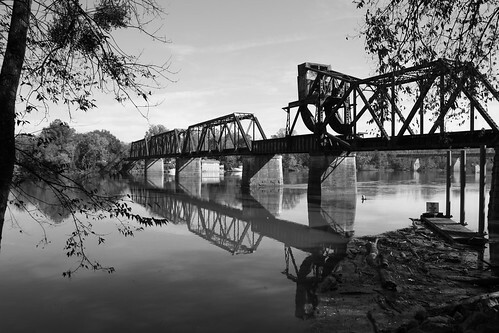 He enjoys Trains, Road Trips, and Black White photography. Some posts on this blog may be sponsored. In all cases, the opinions on the blog are my own and I reserve the right to moderate comments.